JoAnne Palladino was chosen to bring the high frequency of Love and Grace to our planet at this pivotal time. Her intention is to guide others to live from their hearts, embody their own light, and create the shift to unity consciousness. Shmaya, the Beings of Light, energy words flow through JoAnne as an expression of the Divine and invites a trust and an elevated awareness to us during these extraordinary times of awakening. Since 2002 JoAnne has been extending her divinely guided gifts to many throughout United States. She is a Reiki Master-Teacher, Intuitive and a seasoned Health facilitator who channels the high frequency of Light Language to influence the ascension of the collective. Before 2000, JoAnne was a high-profile health care administrator until her own health began to mysteriously decline. Her search to recapture her own health lead her to discover a holistic, energetic approach to self-healing. As she gradually regained her strength and felt heat and energy radiating from her hands, she sensed that her life’s journey was about to take a dramatic turn in a new direction that she would have never imagined. JoAnne explored various integrative holistic modalities to support and enrich her health back to wholeness. 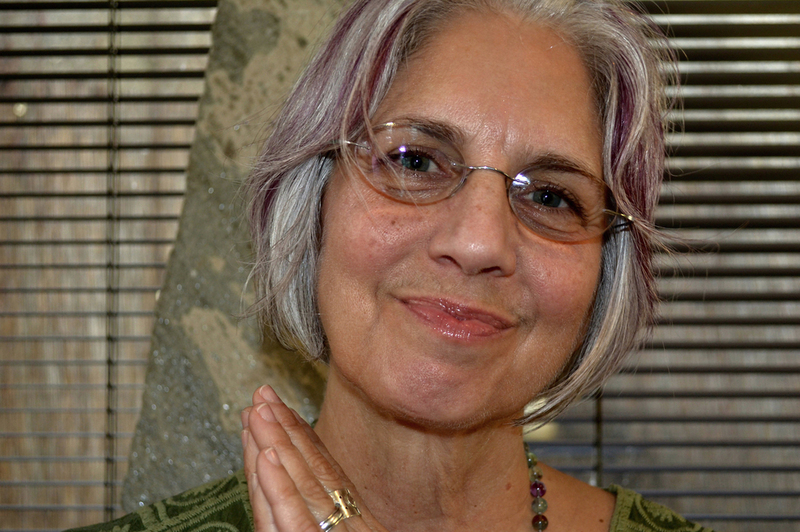 An integral part that opened her heart and ignited her spiritual path was Yoga. Her dedication to Yoga and spiritual practice lead her to deep psycho-spiritual self-study and a soul resonance with the channeled book, The Way of Mastery. Since the 1990s JoAnne experienced a number of awakenings. Her body’s vibration was rewired to prepare her to connect with and bring through the refined vibration of light language. Stripping away karmic memories, experiencing past lives, releasing dense energy and facing fears that debilitated her was in essence a ‘dying’ process of the old way of existing to being rebirthed as a wayshower for others. Her rebirth awakening experience revealed her hidden gifts as a healer and to be present with compassion and wisdom with other souls who are going ‘through’ their own awakening. 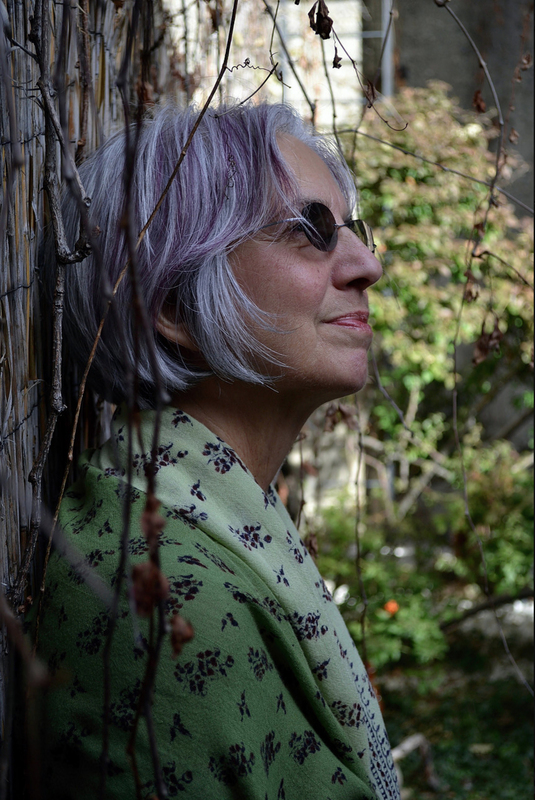 JoAnne intuitively knew self-exploration work was a pathway to connect with her soul’s purpose and what a dance it could be. She was drawn to Reiki and other energy practices and integrated yoga, spirituality and meditation in to her daily life. During this journey, she was introduced to The Way of Mastery book, which offers spiritual teachings and practices about forgiveness and expresses the energy of Love and Grace. JoAnne’s dedication to the practices and her devotion to self-healing is what allowed her to develop the wisdom to embrace her fears that she was running from and the compassion that comes from complete and unconditional self-love and acceptance. Her work with other souls is built on this essential foundation. As JoAnne’s awakening deepened through the teachings from The Way of Mastery, she unexpectedly and spontaneously started speaking the Language of Light, a profound energy transmission from a higher dimensional source. These Beings are called Shmaya and speak to each person from pure love. The Light Language transmissions connect the receiver to Divine Grace and to their Soul. Shmaya is here to help souls evolve and accelerate the ascension process on the planet. Ascension is activated through these sacred energy frequencies in those that are ready to enliven spirituality into their lives. When JoAnne spontaneously starting channeling the Light Language a word that continued to be spoken was Shmaya. At the time JoAnne was not aware the holy meaning of this ancient word. Once she was informed of the sacred meaning of this word she made the decision to name the Beings of Light Shmaya. Shmaya, which is an Aramaic word, meaning "oneness in all" is channeled through JoAnne. The root "shm" meaning light, sound, vibration, name or word, and indicates that which “rises and shines in the entire sphere of being.” The ending "aya" shows that this shining includes every center of activity, every place we see, as well as the potential abilities of all things. In effect Shmaya means; The Light that rises from the Oneness and shines through the cosmos, and lives within everyone, everything and in every word. The sound and vibration of the energy words within this language transmit a variety of healing qualities, touching people on a deep level resulting in a sense of profound peace. Clients receive guidance and a healing from Shmaya that reaches beyond the body and transforms overall well-being on a deep profound level. Shmaya supports you like a Yoga spiritual practice for Your Soul! Shmaya offers a high resonance yoga of spirituality for all. This spiritual work, combined with the practice of yoga will align your body, mind and soul. This is deep, remarkable personal work, causing an awakening that goes beyond physical ailments into the very essence of your being to connect and embody that you are an expression of the Divine. The message came to JoAnne that Shmaya, the Beings of Light have come at this time to help soul’s evolve and influence the ascension of the planet. JoAnne is offering a gift of direct communication with Shmaya, the Beings of Light, a message that is essential for the conscious awakening of the Earth. The awakening that arises from the grace and beauty of the frequencies of the Language of Light goes beyond physical ailments into the very essence of the individual. JoAnne extends this gift to the world through a variety of offerings and products with honor and integrity. Her intention is to respect the deepest and most fervent desire of any human being, who is longing to evolve to a higher level of well-being and joy through the Loving Grace of Shmaya, the Beings of Light. "Receiving from Shmaya I could feel every cell in my body re-awakening to the Truth…a remembering that we are all connected and not separate from God." "I feel deeply connected to Source, to my natural state of peace and joy, and I always receive exactly what I need during my sessions with JoAnne. When JoAnne channels Shmaya, I could feel every cell in my body awakening or re-awakening to the Truth. It’s feels to me like a remembering that we are all connected and that we are not separate from God." "JoAnne’s work is inspirational and filled with grace and elegance." "I am able to let go and forgive others and myself more readily now." "JoAnne’s private and group sessions gave me a sense of gentle anticipation and trust as she brought forth Shmaya. What emerged was a strong, loving presence and connection to the Divine. I was dealing with some stress-related issues. During and after my session I experienced a renewed sense of inner peace, calm, and balance. I am able to let go and find forgiveness of others and of myself more readily than in the past." "JoAnne is masterful at weaving what is needed to support my awakening." "JoAnne is masterful at weaving in healing, messages and any other resources to support my awakening. I love Shmaya, the Beings of Light because it is authentic, I feel better and more at ease with life. JoAnne’s guidance has been life changing for me and I trust her with my ‘stuff’…keeping me going back for deeper body/mind/soul connection." "JoAnne has the amazing ability to know what needs to take place...cleansing, detoxification, energizing, calming, release." "JoAnne is a gifted energy healer who has taken my Reiki sessions to a whole other level of healing. JoAnne’s gifts allow her to “listen” and to “see” what healing needs to take place. In doing so she customizes her healing sessions to each of her clients. To that end, none of my sessions have been the same yet the healing experience always happens. JoAnne has the amazing ability to know what needs to take place...cleansing, detoxification, energizing, calming, release….I feel so blessed to have been introduced to JoAnne and her multidimensional gifts. As a gifted channel, JoAnne also brings Shmaya, a Language of Light, to many of her healing sessions. These experiences have truly elevated each of my healing sessions with JoAnne. I feel an “otherworldliness” or much deeper spiritual connection to the healing energies being offered. My sessions with JoAnne always feel gentle, yet powerful, fluid, sacred, transformational and abundant in love." "JoAnne and Shmaya as my guide and healer, allowed me to release emotional, and karmic cellular memory issues." "At a group gathering JoAnne channeled Shmaya, the Beings of Light and immediately I was in a loving space a true… Divine appointment. The chronic throbbing in my head and chest flow out and dissipate was the great first gift. JoAnne and Shmaya as my guide and healer, allowed me to release emotional, and karmic cellular memory issues. I can see and feel my life as an on-going adventure...a time to be joyful and share my light." "My sessions are always unique which ignites a freshness in my soul journey." "Following steady attention to spiritual focus and awareness for over a year, I first came to JoAnne for a different attunement to my body. I wanted to experience an attunement that is felt vs. first intellectually understood. I GOT IT!!! Shmaya, feels natural, comfortable and arrives with tenderness to share information. I enjoy the light language because one must give in and feel the vibration. The connection with JoAnne and Shmaya is lasting and, for me, takes time away from the session to fully grasp all the adjustment. Shmaya’s vibrational language is planted and then blossoms. I do recommend JoAnne for her soothing attention and messages Shmaya brings. My sessions are always unique which ignites a freshness in my soul journey." "JoAnne is an artful, kind and compassionate soul." "When I received the amazing energy that JoAnne brings through (Shmaya) I feel love and light in the everyday life and I am emerging as the best possible self. JoAnne is an artful, kind and compassionate soul." "It is soul work at it's finest." "JoAnne’s energy work has become richer over the years with Shmaya. It is soul work at its finest. As I go through the waves of my transformation and embrace health and healing opportunities, she has the ability to get me back into my body. She always provides insightful guidance that helps me be at peace, trusting and allowing what is next for me filled with more joy." "JoAnne and Shmaya’s presence opened my heart and has lead me without words, through her healing intention towards self-healing." "I was referred to JoAnne through a highly regarded friend. At the time I had some health concerns. I had no preconceived notions about JoAnne’s gifts or what the session would be like. She "scanned" me and shared her insights which were totally accurate. With total trust I laid down on the table and handed over my physical, emotional and spiritual self to her. Once she completed a "multi-modal" healing, she shared what she had felt and seen. It resonated deeply for me. She is a sacred healer and friend. She has opened my heart and has lead me without words, through her healing intention towards self-healing." "In Shmaya’s presence I feel the love in my soul and it brought me inner awareness." "JoAnne is such a beautiful person in many ways and is gifted with Shmaya, the Beings of Light. I experienced Shmaya on a weekend retreat. I could feel the love in my soul throughout and it brought me inner awareness. JoAnne and Shmaya were aware of my inner feelings that I wasn’t aware of myself, yet they were right on and knew about them, which totally amazed me. I highly recommend you experience JoAnne channeling Shmaya as you will come away saying, 'more PLEASE'!" "Each time I experience Shmaya I feel more aware of my light bodies and my soul essence." "When I first experienced JoAnne and the channeling of Shmaya in a group session, I knew I wanted her guidance with my spiritual growth and help in keeping my body tuned-up. Each time I experience Shmaya I feel more aware of my light bodies and my soul essence. If I have any physical issues, they quickly improve and I am more in balance. I highly recommend JoAnne to others wanting energy healing and help in the awakening process." 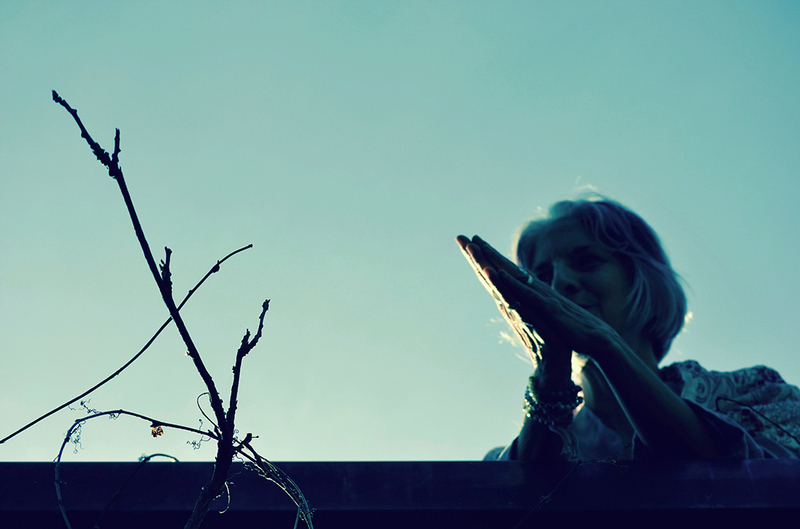 "JoAnne helps me open up to the divinity and consciousness within myself." "I trust JoAnne and Shmaya’s intuitive insights and feel that her guidance resonates with the challenge or questions I have. JoAnne has been an important part of my path and healing journey, over the years helping me open up to the divinity and consciousness within myself. I refer many to JoAnne because she is an effective and trustworthy healer." "I have a sense of deep spiritual connection during my sessions with JoAnne." "JoAnne has been my extraordinary healer for well over 10 years. Before my experience with the Shmaya energy, JoAnne masterfully used her Reiki training to help me become more centered, calmer, more peaceful and to feel physically balanced. I have always said that, while I had previously had satisfying Reiki sessions before JoAnne, real magic began with JoAnne. There is a level of energy flow with JoAnne that is far more powerful and effective than I have experienced with others. There has always been a sense of deep spiritual connection during my sessions with JoAnne. This has become much stronger once JoAnne discovered the Shmaya energy. Now, with Shmaya, more of my inner struggles bubble up to the top. There is more clarity in what is happening to me both emotionally and spiritually. And there is powerful healing that occurs during and after my sessions." "I am more connected to the Divine and my soul, which helps me to live my Truth and shine my Light!" 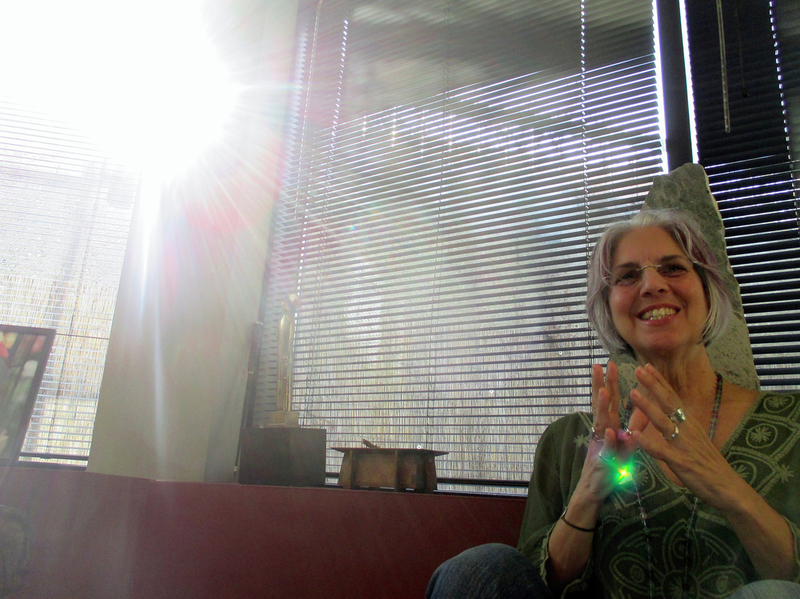 "JoAnne's awakening sessions help realign, rebalance, and rejuvenate me and my soul. Her gentle yet powerful way of working with energy helps me to clear away the energetic sludge that gets stuck in my body and causes much of my dis-ease. I always leave feeling lighter, more grounded and expansive in my body, and more connected to the Divine and my soul's nature, all of which helps me to live my Truth and shine my Light! No matter which parts of me show up during our session, JoAnne allows for them to be expressed and holds my space with unconditional love and acceptance." "Shmaya gave me a spontaneous blessing that vibrated through all of my being."